LA County Board of Supervisors voted to end 287(g) program after tens years. 287(g) has allowed County agents to act as immigration officers and perform immigration related duties. It has also allowed ICE agents inside LA County Jails. All of this has ended on May 11th, 2015. 287(g) has for years sparked anger and controversy. 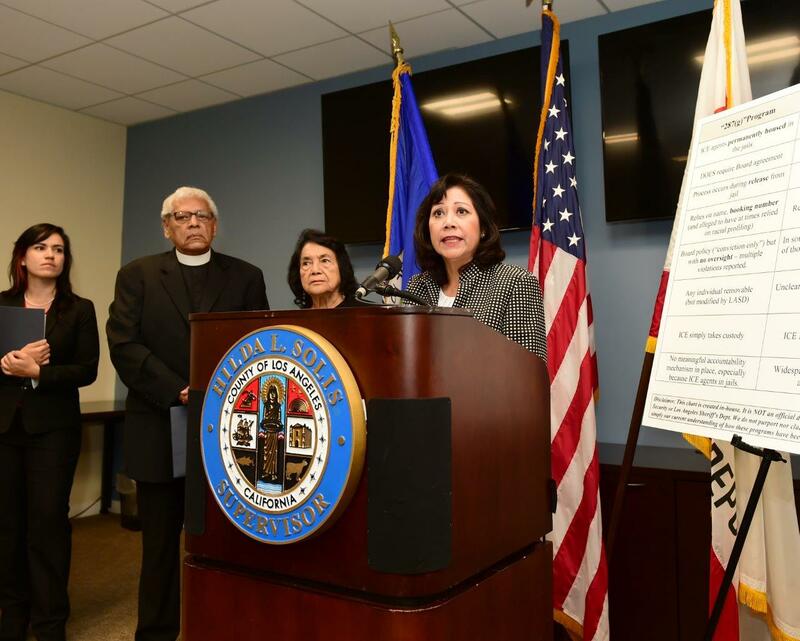 While the previous administration has refused to end the program, Hilda Solis and Mark Ridley-Thomas has co-authored the motion to end 287(g). The Board of Supervisors has shifted from its conservative roots out of pressure from community organizations. This historic change has been one of many steps for social justice that California has been progressing to. But the struggle is not over. While ending 287(g) is a step in the right direction, an amendment to the motion will continue the practice of deporting immigrants in the LA County. As part of the passage of the motion, the Board of Supervisors also passed the Priority Enforcement Program (PEP). PEP is the current iteration of the secure communities program. What Secure Communities does is that it allows the sharing of information between the Sheriffs and Immigration and Custom Enforcement (ICE). If somebody comes in contact with the police, that persons information can be shared with immigration agents. Then ICE can request the police to detain that person. While the Sheriffs will no longer act as immigration agents, a hold on a person can still be requested out of suspicion of being undocumented. Secure communities program has been criticized as one of the reasons for building distrust between police and the community they are suppose to serve. This program has resulted in millions of people deported, and the criminalization of immigrants. It is important to note that PEP is the new version of Secure Communities and its exact impact is yet to be seen. Supporters of PEP claim that it will only target the most dangerous criminals. PEP-Comm can still have the same issue of deporting immigrants who come in contact with police, even if they have not committed a crime or a low-level crime. Prioritized deportation has not worked in the past as the CIPC have stated. But compared to a few years ago, pressure from local activists has force the Obama administration to shift from targeting all immigrants to only the “most dangerous criminals” to try to appease his constituents. While rates of deportations are going down for the first times since Obama has taken office, PEP promises to continue the criminalization of immigrants. The state of California passed the Trust Act to curtail the damage that Secure Communities has had on immigrants. The Trust Act was brought about by the collaboration of various activist groups throughout the state. 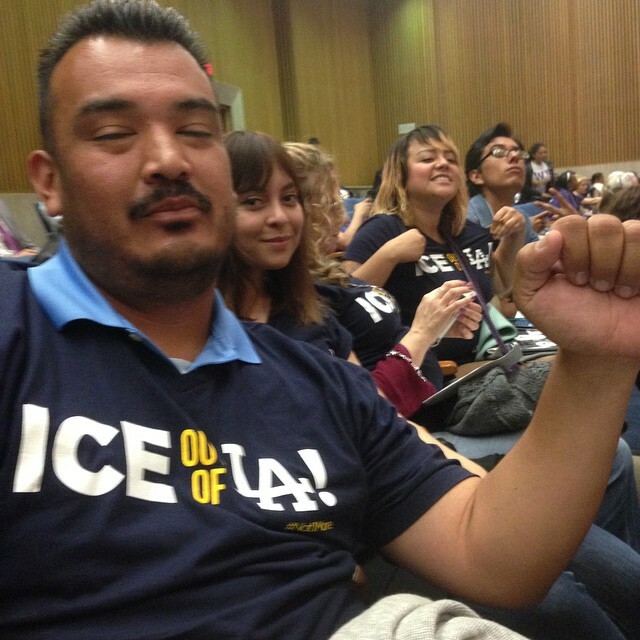 Tireless efforts of immigrant rights activists has pressured the LA County Board of Supervisors to take this radical step from their predecessors. That same Board has not gone far enough in making the change we need. The struggle is not over and deportations have not ended. Every politician needs to be held accountable to their actions. We should celebrate our victory and continue to organize for a better future.